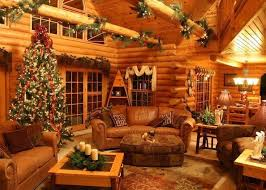 andrew January 24, 2019 January 24, 2019 No Comments on Christmas in a log cabin. I remember one of the most magical Christmas ever. 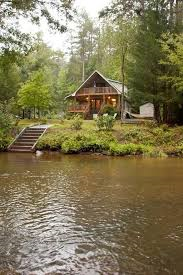 It was several years ago when I was told that we would not be holidaying in our home but in a log cabin. Imagine my excitement at the knowledge that this year I would be out in the wilds of the country with fantastic views, free from the usual scenes of the tired Christmas tree lights and the tinsel. This year was going to be something natural and special. Packing the tree and the already wrapped presents in the back, we set off for our holiday location. I was very pleased to find that the place looked like something out of a Thomas Kinkade picture. A wideish stream flowed several yards in front of it and there was a sturdy wooden bridge to cross with our car. The people who were letting us rent the place had already got a big log fire going which was evident from the smoke playfully curling its way out into the chilly early evening air. The overcast sky promised some snow and I was relieved to find that the cabin had a full freezer and fridge with plenty of provisions. My brother joked that we could always try and catch the fish in the river if we needed to! It was December 23rd and it seemed as if nothing in the world could spoil this time for us. The cabin had a little porch with a set of tables and chairs, not that we thought we’d be eating outside at all. Inside I found that I had my own little room and that my poor brother would be sleeping in a cubby hole up in the roof. He was quite happy about this as it featured an interesting way of getting up into it with a large section of wood nailed to the eaves and big foot holes cut into it so he could climb up. He said that he’d be able to see Father Christmas easier up there. The log fire cracked and there was a big sofa and two chairs to sit in and we’d brought some snuggly rugs to get underneath. A nice big table was in the room and the kitchen was all open. That will be perfect for a board game I thought and was very happy to see that there was no TV but there was a radio. This was going to be the most magical Christmas of my life and one I would always remember.